Who will benefit from getting permanent make-up? The pigments are safe, nontoxic and hypo-allergenic. I use Iron Oxide based pigment. They are trusted by technicians and cosmetic surgeons worldwide. Ophthalmologists recommend eye procedures for those sensitive to conventional cosmetics. 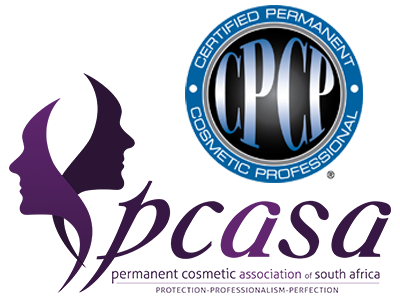 Permanent cosmetics are a form of tattooing where pharmaceutical graded pigments are inserted. A Special permanent make-up machine or hand tool and individually packed disposable safety needles are used to implant the pigments into the upper dermis layer of the skin. I offer a free consultation to every client, with no obligation to proceed. During the consultation I will do an individual analysis of your facial shape, hair, eye and skin colouring and discuss what you would like to achieve from the end result. Customer satisfaction is of prime importance to me and I take a lot of time to ensure my clients are completely happy with the shape, design and colour to be applied, before proceeding. You should allow at least 2 to 3 hours for your initial procedure. If you usually shape or tint your lashes/ eyebrows, you should do so a few days before your appointment. You should stop taking any blood-thinning products 3 days before (e.g. aspirin, alcohol, fish oils) unless prescribed by your physician and do not drink coffee or alcohol before your appointment. You can drink anti-inflammatory medication before your appointment if you wish – this helps with pain and swelling. You will fill out forms including a medical history. I will analyse your face shape, features, and eyebrows including their symmetry (evenness). Then I will create symmetry and pencil different designs so you can see what you like best. Together we will select colour, and then I will apply a topical aesthetic to numb the area. Anaesthetics will be applied during the procedure for your comfort. Before and after photos will be taken for your confidential file and your pigment colours will be recorded for future reference. Immediately after the procedure, the area will be darker than you want. There will be some mild swelling and redness that will clear in a day or two. The colour will lighten quickly during the first week, then gradually soften and stabilize over the next few weeks. During the first 10 days of healing, the area will be dark and a little shiny from applying ointments. I will give you detailed after care instructions that you must follow to the letter to get the best results. Your colour will gradually lighten and stabilize in the weeks following your procedure. If the area heals lighter than you want, it can be darkened with a second application at a follow-up visit (“touch-up”). You may need a follow-up to adjust shape or add colour to areas that healed lighter from tissue swelling or bleeding during the tattooing process. Ideally, your second visit should be completed between 4 to 8 weeks post procedure. A touch-up is also important to ensure colourfastness. Because permanent makeup can fade over time, you can schedule maintenance visits every few years to keep your colour looking fresh. These visits are typically shorter and less expensive if the original work was done. Topical anaesthetic creams and special permanent makeup anaesthetic gels are used to numb the skin– most people find pmu a little uncomfortable, but not painful at all. Who cannot get permanent make up? Cold Sores: Lip clients must take (anti) virus meds prior to lip procedure. Your doctor can prescribe meds for you. Please understand there are traces of nickel in some needles and pigments and that this may affect you if you have an allergy to nickel. Let us know if you have/had allergic reactions to topical anesthetics. Don’t book an appointment at least a week before important events. Following the aftercare instructions to the letter is very important to get the best results! The microblade hairstroke procedure is meant to look very natural – I CAN NOT do this procedure over existing, dark permanent eyebrows – I would suggest the client considers a form of tattoo removal first to lighten the area and then come back after healing. If you have an existing eyebrow tattoo performed by another permanent makeup artist, I will not consider you as a client unless it is 90% faded. I would need to see your eyebrows in person to determine this. No sweating the day of your procedure or for 10 days after. Sweat contains salt, which will prematurely fade the pigment in the skin. Do not take Aspirin, Niacin, Vitamin E or Omega oils 48 hours before procedure. No alcohol or caffeine before the procedure. If you have extremely oily skin, the hair stroke eyebrow technique will NOT work well for you. The constant production of oil will cause the hair strokes to heal with a diffused, softer look. Your end result will look more powdered than you would expect. If you are wearing lash extensions, you cannot wear them pre, during or post procedure till your eyeliner is completely healed.